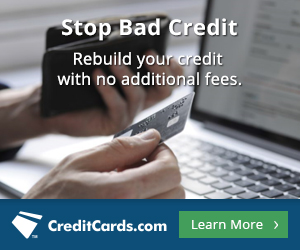 We have all seen the ads “Bad Credit, No Credit, No Problem” right? This normally leads to the question that people always want to know…Is it better to have bad credit or good credit? That really all depends on how you look at it and for what reason you are asking that question. Credit reports are made up many different ways as there aren’t two of the same reports. I will explain the pros and cons of having either no credit or bad credit. When a consumer is in the beginning stages of building credit, most people don’t know exactly how to build credit. Some people follow the famous myth that you must carry a balance on your credit card or pay the bill twice in a month to get double the credit. Because of lack of education, many will just wing it and see what happens if they open a Credit Card Account and make some payments each month. Some people are lucky enough to have parents add them as authorized users on their accounts and eventually create a credit score down the line. But what about those who have No Credit? Isn’t not having credit a good thing? Well, it depends on what you are trying to accomplish. If you are trying to get a Credit Card Account, then it would be easy to get approved as Credit Cards are normally the easiest accounts to open and build credit with. If you are trying to get an auto loan, things may be a little tougher and may require a co-signer as you have never had previous auto loan payments to show you are worthy of a loan. There are banks that do offer a First Time Car Buyer Program to consumers who have never established credit before. Keep in mind these lenders will more than likely offer a double digit interest rate along with a required down payment for a reliable vehicle. If you are trying to get a personal or home loan, then prepare to be declined as you need some form of history showing that you can pay and manage your credit bills on time. More than likely, having no credit will result in the lender explaining to you that you will need a co-signer or that you would have to place a certain percentage as a down payment. 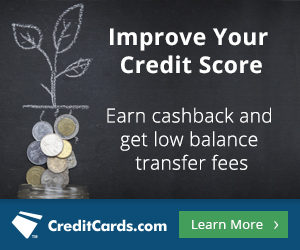 Even with a Credit Card, the results are not overnight and normally takes 2-3 months or more to generate a score. Keep in mind, just by having a credit score doesn’t mean that you can go crazy and start to open more accounts as this will lower your age of credit. A good rule of thumb is to keep a 0 or low balance while maintaining on time payments. How could having bad credit be something positive? It’s really quite simply actually. Most consumers, not all, but most have achieved bad credit by a series of bad choices for many reasons. With that being said, many consumers at some point had good enough credit to get approved the accounts in the first place. Because of previous credit history, a consumer has a shot at many “Credit Rebuilding” programs that work with credit challenged clients. Most of these programs dig deeper into previous accounts on the credit report to make their judgement and not just the score itself. 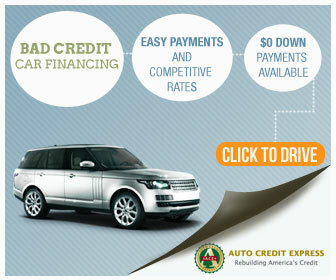 I really don’t have to go over the reasons why bad credit can be….well……bad! I will go over them only because in some cases, even “Credit Rebuilding” Programs won’t take a chance on some consumers as they have shown no improvement or effort from those consumers. For example, if the consumer has had multiple accounts with late or missed payments, then more than likely, the lender feels that the consumer will late with them as well. Not to mention the types of derogatory marks including collections, civil judgments, public records, and liens that will show the lenders you may have a garnishment on the way to satisfy a debt owed. Also, with bad credit, the rates are higher than those who may have “No Credit” as the “Bad Credit” consumer shows why they are bad versus never opening an account before. As you can see, having No Credit or Bad Credit can be positive or negative depending on what you are trying to accomplish and who you are working with to receive an approval. This post is to simply shed some light on a different perspective as I have seen people on both sides prosper as well as get denied from a lender. This post will also set the right expectations before working with a lender so there are no surprises during the outcome. For more articles like this, join our email blast here and be sure to share this with someone you know who can benefit from it as well.